Valentine’s Day is candy hearts, flowers, and chocolate truffles. 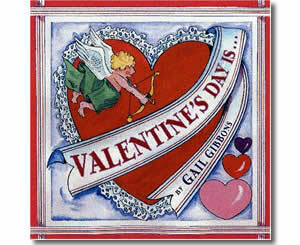 It is Valentine cards galore. Most of all, it is a time to share with family and friends, and a time to give thanks for our loved ones. Gail Gibbons presents the history of this special holiday and shares what the day has come to mean in our present-day society.